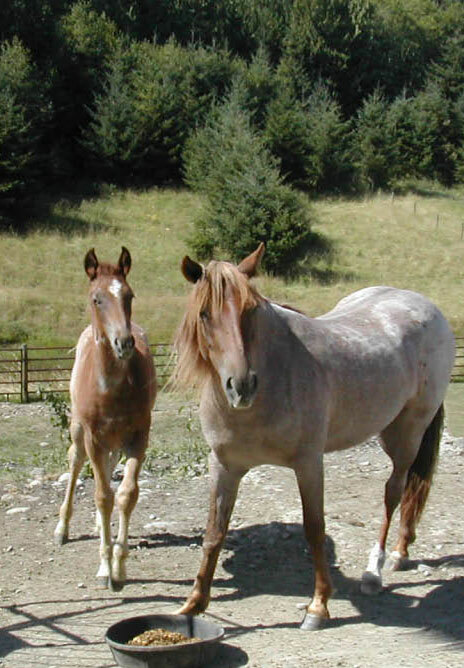 Precious Life Animal Sanctuary was contacted by a government agency in Wyoming that Sally, a small, young, wild mustang horse with head trauma was un-adoptable unless we were willing to take her. She and other members of her family had been rounded up by helicopters to be sold. She had suffered neck and head injuries in the corrals. No one wanted her because she couldn't be ridden. When we got her, no one knew she was expecting a baby. She surprised us with a gorgeous foal. 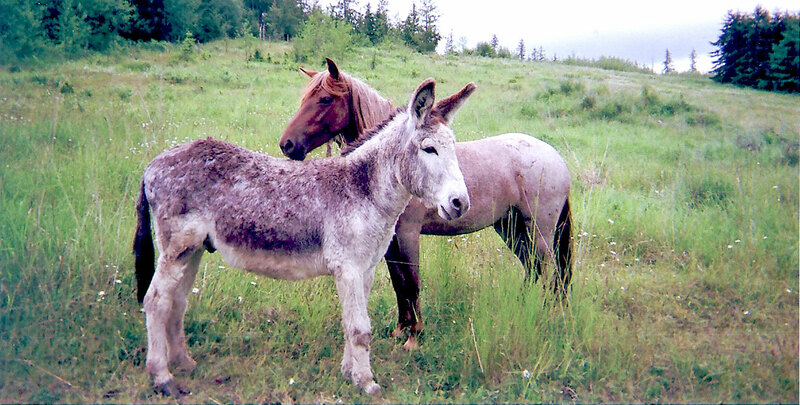 Now she is constantly shadowed in the pasture by her small son, “Surprise”. Sally is still very shy with people, but she will always remain free and never be ridden or used by humans in any way. Surprise is a gorgeous, healthy colt who is the offspring of Sally. We shudder to think that we would have never known him if Sally had gone to slaughter as planned.